﻿ The Original Findlay Market Tour - Ohio. Find It Here. Discover Cincinnati's oldest continuously operating public market in the heart of the historic Over-the-Rhine neighborhood. 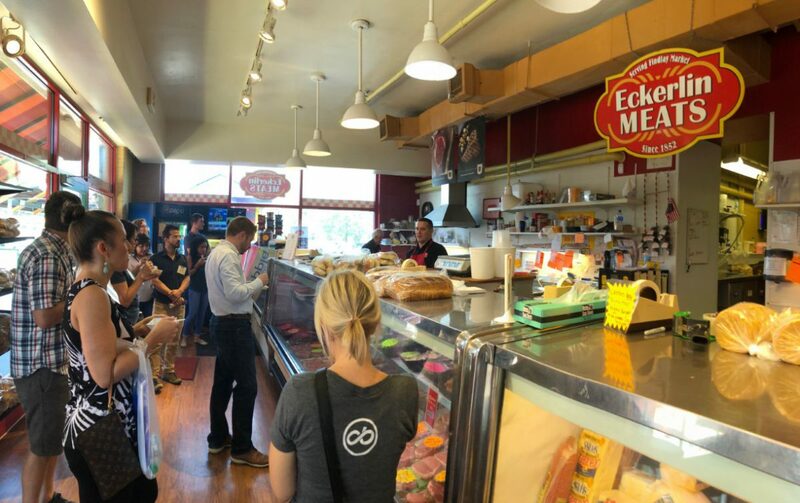 On this 90-minute tour, you'll learn how Findlay Market has survived since 1852 and become the food hub for all of Cincinnati. Traditions and progress come together in this revitalized neighborhood to create a community gathering place of butchers, bakers, produce vendors, and creative food entrepreneurs. During the tour, you'll meet some of the merchants and enjoy samples from five specialty shops and stalls. With a Biergarten, wine shop, chocolate factory, and more than 40 other vendors, you'll find yourself wanting to return again and again to Findlay Market. Ride the Cincinnati Bell Connector to the Findlay Market station.